The Bitcoin (BTC) bulls are back, with the leading digital currency set to end its six-month losing streak. This is attainable if there aren’t any last-minute swings. This is unusual in a highly volatile atmosphere for the top asset class. Bitcoin (BTC) began February a little over $3,400 against the USD. Now the digital asset has added 11% since February the month, going on to reach the $3,800 position. The BTC price briefly flirted at $4,000 a number of times in February. However, in all attempts, it failed to secure an extended period in this position through last month. The rare good month for Bitcoin (BTC) comes after a number of positive news for the top digital currency, and the crypto space came to light. 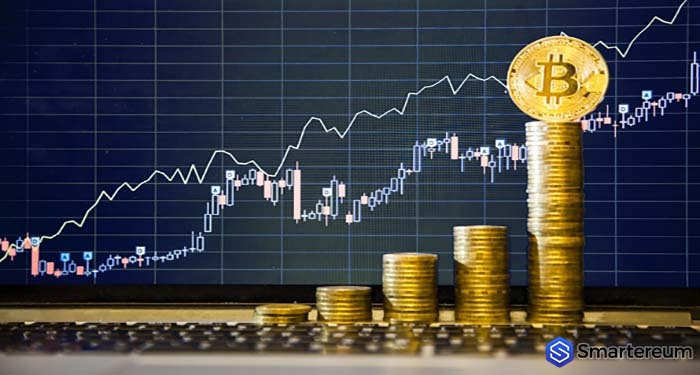 Experts have also cited the fact that long-suffering BTC proponents and tech sector heavyweights foresee a bright future for Bitcoin (BTC) is another factor that helped push the asset to new gains in February. The Bitcoin (BTC) bulls are now in force in the last few weeks. Could the bitter crypto winter be coming to an end? This recent win for BTC comes from Julius Bär, one of the oldest and largest Swiss Banks. The bank announced that it would start offering a variety of new digital assets this week. Earlier in the week, Nasdaq added two digital currency price indexes to its platform (representing Bitcoin and Ethereum). The exchange is reportedly preparing to provide tradeable Bitcoin (BTC) and crypto futures. The last bull run for Bitcoin (BTC), probably led to a hangover that has seen the leading digital currency losing some 80% of its value in the last 14 months. The case with the larger crypto space isn’t different. It is noteworthy to indicate that $400 billion has been wiped off the cryptocurrency market in the same period. The drop in value has been attributed to stalled adoption and banks holding their plans to wade into Bitcoin (BTC) and other cryptos. The lingering bear sentiment and regulatory crackdown by federal and state regulators haven’t helped matters. The long-awaited involvement of institutional investors in Bitcoin (BTC) could now be around the corner. Experts believe that this looks more and more likely in the coming months. Earlier in the week, the technical Bitcoin (BTC) price data indicated a fresh bull run could be initiated this year. Bitcoin’s (BTC) 50-week MA is declining below the 100-week MA for the first time since April of 2015. The signs look good. Many Bitcoin (BTC) investors and traders have begun looking forward to the highly-anticipated Bakkt platform. We also await a first Bitcoin ETF (exchange-traded fund) to boost the price of the digital asset. Despite the fact that these expectations have been dampened in recent weeks following the Securities and Exchange Commission concerns over potential price manipulation, investors remain hopeful for the future. The Bakkt Bitcoin (BTC) based platform, developed by New York Stock Exchange parent company, Intercontinental Exchange in collaboration with coffee chain Starbucks and Microsoft, will offer Bitcoin (BTC) futures trading from Q1 this year. The platform will open Bitcoin (BTC) and cryptos to a broader retail market.